Mithali Raj has spoken out for the first time since being dropped for the World T20 semi-final and she has slammed India coach Ramesh Powar for unfair and discriminatory behaviour. For the first time since being dropped for the World T20 semi-final against England, Mithali Raj has spoken out and has slammed coach, Ramesh Powar for being biased against her. India Today has just broken the news that Mithali Raj has written to the Board of Control for Cricket in India (BCCI) where she has slammed Powar for humiliating her and being discriminatory in his action against her. "At first there were small signs that his (Powar's) behaviour towards me was unfair & discriminatory but I did not bother much about it," India Today reported Mithali as having written to the BCCI. She went on to say how she was only informed at the eleventh hour that she would not be a part of India's team for the semi-final clash against England. "It was when Harman walked out to toss, he (Powar) came running to me and said that I wasn't playing the semi-final clash." Mithali mentioned in her letter that she was baffled and hurt by the decision to leave her out, reports India Today. ".... I would also like to point out that I have nothing against the T/20 captain Harmanpreet Kaur except for the fact that her call to support the decision of the coach to leave me out of the eleven was baffling and hurtful. I wanted to win the world cup for my country and it hurts me because we lost a golden opportunity." She also acknowledged that she took a risk by writing the letter but went ahead with it to let the BCCI know how she felt at being unceremoniously dropped. "May I say that I am aware that by writing this email I am making myself even more vulnerable. she is a COA member while I am just a player. For the record, I scored back to back fifties in the games before the semi final, was adjudged player of the match on both occasions, to leave me out in the semi final and go with only three performing batters was a decision that left me baffled as much as it left the whole world." 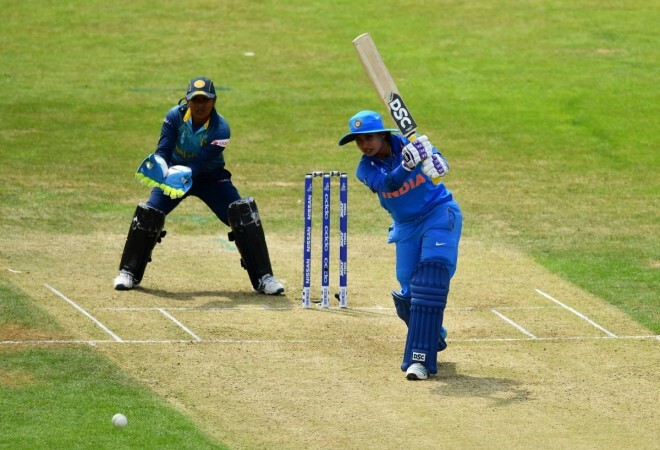 India's batting collapsed in Mithali's absence as they conceded an easy victory to England in the semi-final as a very promising World T20 campaign for India fizzled to inconsequence. Mithali said she felt depressed and let down. "For the first time in a 20-year long career, I felt deflated, depressed and let down," her letter reads. "I am forced to think if my services to my country are of any value to a few people in power who are out to destroy me and break my confidence." She also expressed her extreme disappointment in CoA member, Diana Edulji. "To put things in perspective, I have always reposed faith in Diana Edulji and have always respected her and her position as a member of the COA. Never did I think she will use her position against me, more after hearing what all I had to go through in the Caribbean as I had spoken to her about it. "Her brazen support in the press with regard to the decision of my benching in the semi-final of the T20 World Cup has left me deeply distressed, more because she knows the real facts having spoken to me." "It was worrying and insulting because the coach was out to destroy and humiliate me," she wrote. "I couldn't control my tears having given it my all for 20 years. It seemed my efforts had no value." 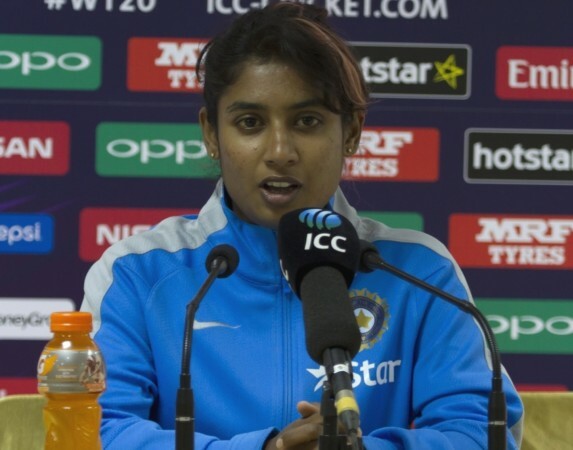 After India's defeat, Harmanpreet Kaur had defended the team selection saying the decision was taken with the team in mind and that she had no regrets. "Whatever we decided, we decided for the team. Sometimes it works, sometimes it doesn't, no regrets. I'm proud of the way my girls played through the tournament," Harmanpreet had said at the post-match presentation ceremony. In the aftermath of the defeat, Mithali's manager, Annisha Gupta had also lashed out at the Indian management and especially Harmanpreet. "Unfortunately @BCCIWomen believes in politics not sport. After witnessing what @M_Raj03 's experience could do in IndvIre it's shocking that they went with what pleases @ImHarmanpreet -a manipulative, lying, immature, undeserving captain," read Gupta's tweet (now deleted) after India were handed an 8-wicket drubbing by England.